Call me crazy – some do – but I think living with diabetes actually offers us some benefits. It has me. For instance, it’s given me more motivation to stay healthy, so I really watch what I eat and walk every day. It’s also given me a greater appreciation for what I do have, like my amazing husband, wonderful friends, and loving family. And, it’s given me this work I always craved, helping others. This post was shared with permission from Sanofi where the post originally appeared. When I first started working in diabetes a decade ago, I began by interviewing anyone I could find who had it. How were you diagnosed? How did you feel? What’s been easy? Difficult? Has diabetes affected your happiness? 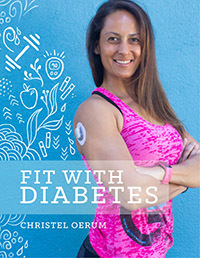 After listening to more than 150 people, I learned many, like me, used diabetes as a catalyst to finally lose those 30 pounds they’d been struggling to lose for years. Some went out and bought a bike and were now riding 90 miles a week. Many were teaching others in their community about diabetes, and loved it! Diabetes gave them a greater sense of purpose, they pursued doing the things to them that were meaningful, and many said they were happier. I talk a lot at health events and conferences about diabetes, to both patients and healthcare professionals. I talk about something seldom, if at all, heard in such venues: the idea that we can flourish living with diabetes, actually, because we have diabetes. I discovered that those who are living full, happy and healthy lives with diabetes seem to hold a certain mindset about it. One I call “flourishing.” Their outlook and self-talk is, “I am strong, I can do this.” They take the actions help them live as healthfully as possible, and see that maybe they gained something with their diagnosis and didn’t just lose something. They are able to draw on their strengths when times get tough, look forward expectantly to good things, are hopeful, and are positively engaged with life. As a result, they experience a good deal of joy and contentment. That doesn’t mean they don’t ever experience grief, loss, frustration, sadness or burnout. They do. But seeing a relatively positive future, they are able to metaphorically “put their boots back on” and keep going. Here’s the exciting news: flourishing is available to all of us. The word we usually hear regarding how we’re doing with our diabetes is “coping.” But coping has a negative connotation. It implies that you are somehow deficient, “less than” normal and the best you can do is “come up” to normal. Sort of holding on by the skin of your teeth every moment. I think the idea of “coping” with diabetes is rooted in our society. We are drawn to problems, to seeing “the fly in the ointment” rather than what is going well. Something I learned a long time ago is, “What you resist, persists.” When you fight your diabetes, you will not win. Your negative attention on it keeps it fighting you back. I’m not saying having a chronic illness is a reason to jump for joy. 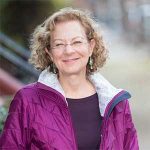 However, I am saying you’ll reap a lot more health and happiness if you find ways to incorporate “flourishing” behaviors, and here are some great ways to start. Look forward to move forward: Focus on, and move toward, what you want (health, happiness, managing your condition well) not on what you don’t want (complications). Discover Your Strengths: Think about a challenge you overcame in the past and how you did that. Those are skills available to you anytime. Awesome article. I so fully agree, moving from coping to flourishing was a shift in perception that has made all the difference to me and those I care about around me!! But THANK YOU FOR THE POST! YOU HAVE HELPED ME ALOT TO STAY FOCUS N NOT YO GIVE UP! This article is great! 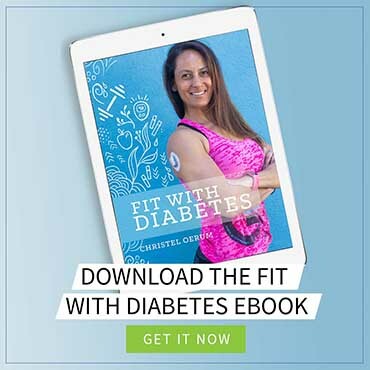 I believe, like you, that your mindset is so important in living with diabetes. I have done well having diabetes for almost 57 years and hope to continue to do so. I know it must be more difficult for those that have had complications and problems to have a good mindset but I wish that they could develop a different attitude to see if it would make a difference in their lives. I think it will. Thanks for your article – a positive note to start my day!